Air Conditioning / Heat pumps – providing cooling and heating for any application from Office, Home, Conservatory, Factory, Hotels and shops. In short, air conditioning makes you feel better, more active and fit, resulting in many advantages, because he or she who feels better is more creative and productive. And who doesn’t like to be in a shop, café, restaurant or hotel with air conditioning, certainly in the summer or winter. Our air conditioning and climate control systems provide many types of HVAC system controllers with varying levels of sophistication. For this reason the suitability of a control system to a building depends on both the building’s size and how it is used. As an example, in a small office a simple air conditioning control system with a wall mounted interface to control ambient temperature and on/off scheduling will be sufficient to achieve the optimum level of run cost and environmental impact reduction. In a large hotel however, a much more sophisticated computer controlled system will be required to implement the more intricate control strategies and co-ordinate the large number of HVAC units to achieve optimization. Planned preventive maintenance (PPM) is regular, scheduled work carried out to keep equipment in good working order and to optimize its efficiency and accuracy. The primary goal of preventive maintenance is to reduce the possibility of equipment failure before it actually occurs. It is designed to preserve and enhance equipment reliability by replacing worn components before they actually fail. This activity involves regular, routine cleaning, lubricating, testing, calibrating and adjusting, checking for wear and tear and eventually replacing components to avoid breakdown. The resource and extensive training of our staff ensure that equipment is operated at optimum efficiency and plant life expectancy is extended to maximum potential. After determining what is to be done, the frequency of the task must be decided. A heavily used air conditioning unit in a server room must be cleaned and checked more frequently than one which is used less often. 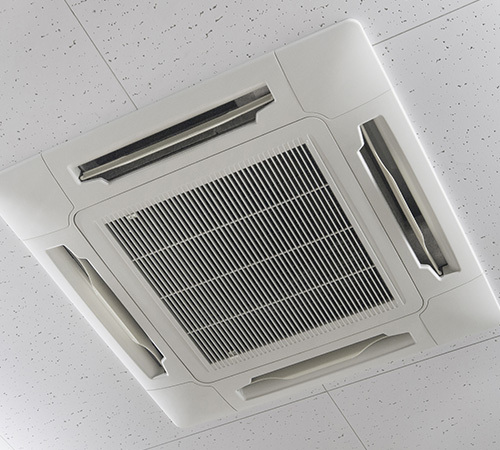 The frequency suggested in the manufacturer’s manual can be used as a guide, but the actual usage of the air conditioning should determine the maintenance procedure required. Improved insulation, double glazing, draft excludes and tighter construction methods results in energy efficient improvements. The consequence of such measures is to reduce natural ventilation within a building. Household odors, damp, condensation, and toxins can contribute to a property being unpleasant or unhealthy to live in. New homes are extremely air tight, and require correct ventilation in order to protect them from problems in the future. A Heat Recovery System will take care of all the extract and ventilation requirements, but also reduce energy consumption in the home by recovering otherwise wasted heat. A heat recovery system will keep your house fully ventilated throughout the year, whilst recovering the heat already inside your home. It brings fresh air from the outside and recycles the otherwise wasted heat from bathroom and kitchen areas. Anywhere where there is a high heat or moisture content will be used to power the heat recovery unit and keep efficiencies high. Very old properties, although sometimes quite difficult to install, will benefit greatly from a mechanical heat recovery ventilation system. Moisture and stale air can cause lasting damage to Grade 2 listed and older homes. This is where a heat recovery system can count towards protecting the actual fabric structure of the building, along with the comfort of the inhabitants occupying it. 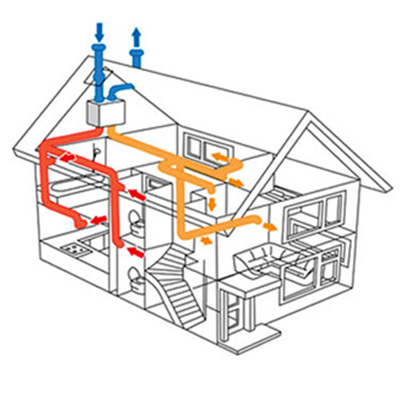 It is common practice to have two or more heat recovery units working in one large home; and they can be positioned to serve zones or floors of their own. Ductwork can be installed within Ecoweb or I joist floors so that no boxing-in is required. 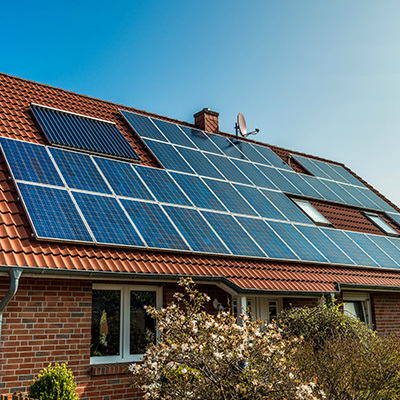 Our Solar Pv Systems are all designed to give you as much FREE electricity as possible and a reduced electricity bill, and also with the feed in tariffs a quicker payback. With an expert team, our membership with REAL and full accreditation under (MCS) – you can be sure that our solar panel installations, products and after sales support are of the highest quality. Reduce your electricity bills by a third, half or to nothing depending on the size of Solar PV Electric Panel system installed and the amount of electricity you use. Feed in tariff pays you for every unit of electricity you produce. It can make your home more efficient: It can add up to 5 points on your home’s energy performance rating. It also means your boiler cycles less & therefore could last longer. 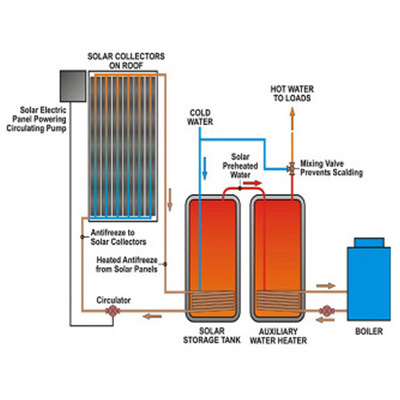 How do the solar hot water system work? Evacuated tubes Which can be fitted on the roof. Both can be used with a combi boiler and other boilers and a water tank is needed. 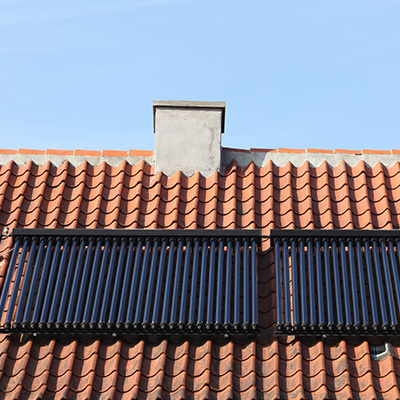 Larger solar thermal systems can also be arranged to provide some contribution to heating your home as well as giving you hot water.